Strip Teaser: If you want to use up all those strips that are left over from previous projects then this is the quilt for you. 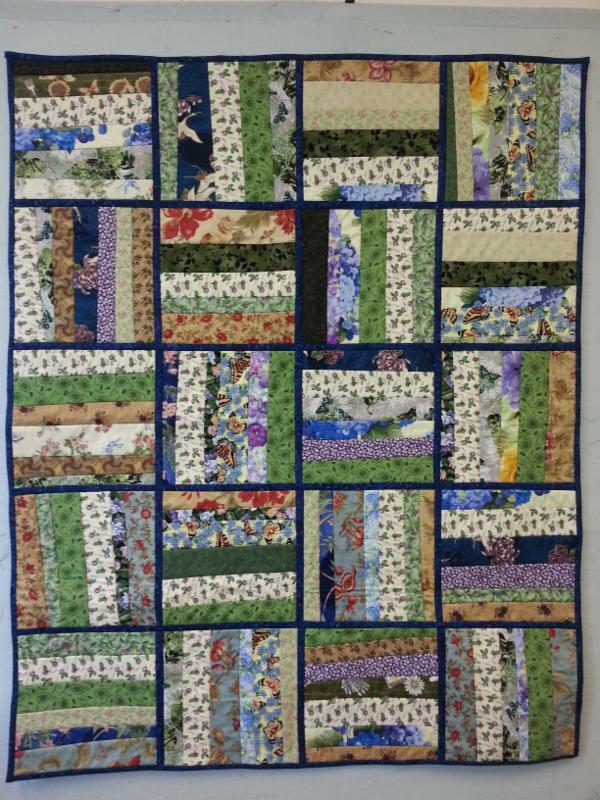 You will also learn how to “quilt as you go” putting your quilted blocks together with two different colours of sashing, one for each side. We will also talk about how to do a two-colour binding. By the time the day is over, you will have a small quilt that’s already quilted. To finish the project all you’ll need to do is hand sew the second side of the sashings and put the binding on. It’s easy, it’s fast, it’s fun! 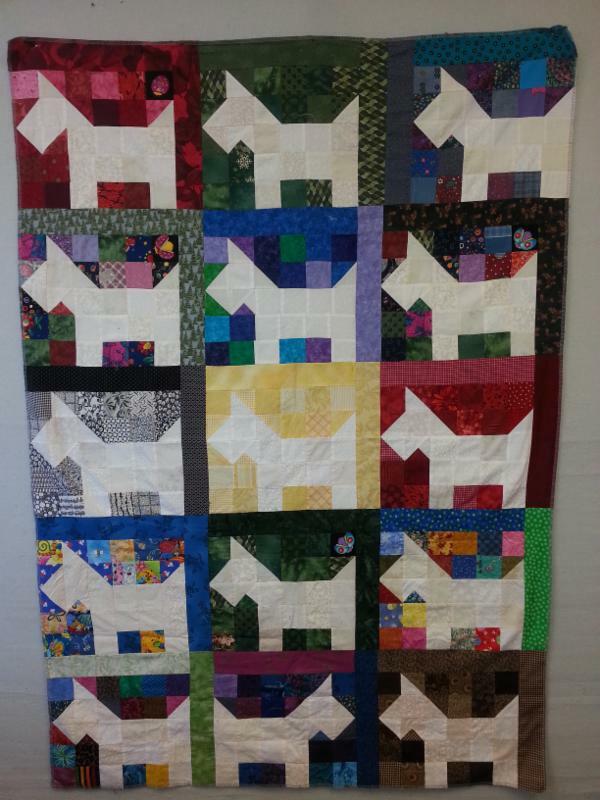 Scrappy Scotties (Westies): Another great scrap block, made with mostly 2 ½ inch squares. This little cutie Scottie dog quilt will make everyone smile. Beatle Bag: The sew and go Beatle Bag is your personalized traveling bag. 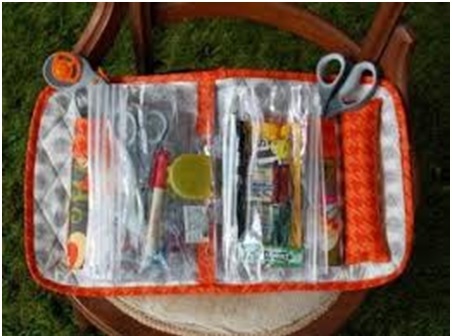 Use it as a sewing kit, store beads, flosses, make-up or jewelry. The pattern includes 4 inserts which are heavy duty vinyl bags. They have a zip closure. Each insert has two bags, one on each side, so in total you get 8 bags. On the inside it also has two pockets big enough to hold full size scissors and a full size cutter. It also has a detachable pin cushion. This entry was posted in Classes and tagged Beatle Bag, Scrappy Scotties, Strip Teaser, Upcoming Classes by admin. Bookmark the permalink.